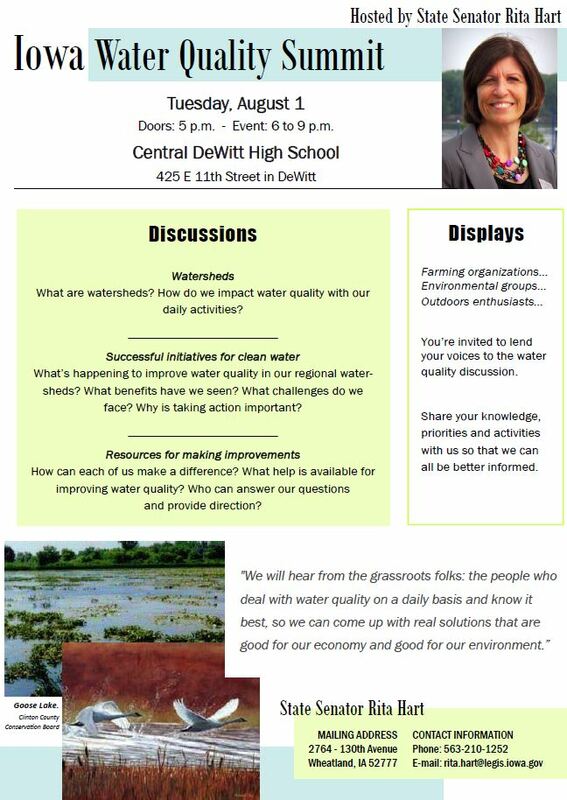 Senator Rita Hart of Wheatland is hosting a non-partisan summit to discuss improving water quality in Iowa. 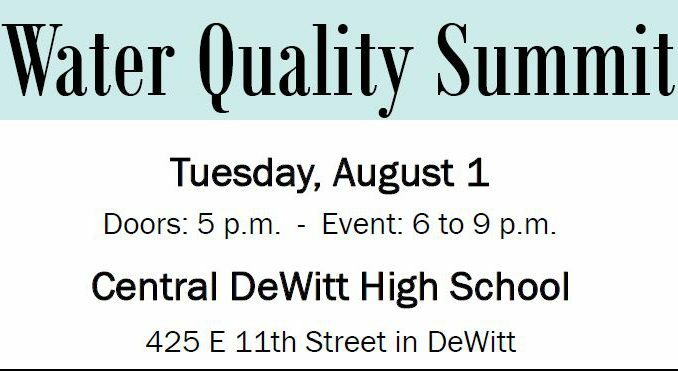 The event will be from 6 to 9 p.m. on Tuesday, August 1, at Central DeWitt High School, 425 E. 11th Street, DeWitt. Doors will open at 5 p.m. and several organizations will have informational tables in the atrium. A number of local and statewide organizations will participate in the summit. “I invite the public to come and learn from the experts and begin to discuss the challenge of balancing the needs of the agricultural economy and wastewater management with the demand for clean water,” said Senator Hart.